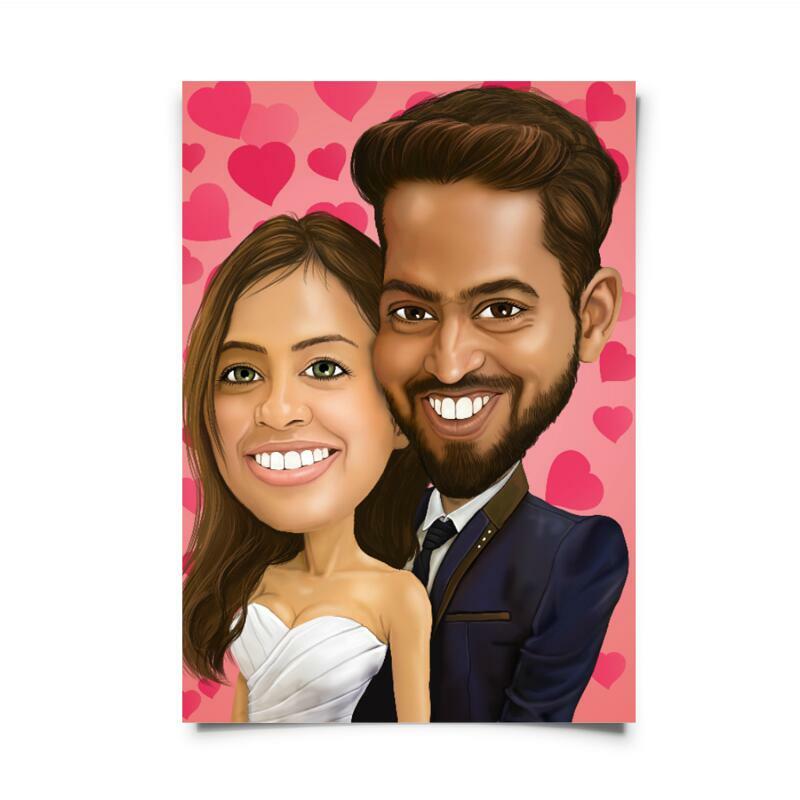 Are you looking for a beautiful picture of your couple or friends, which can be designed by a professional artist ? 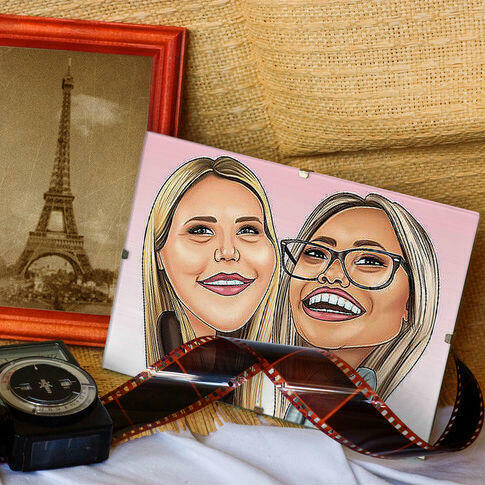 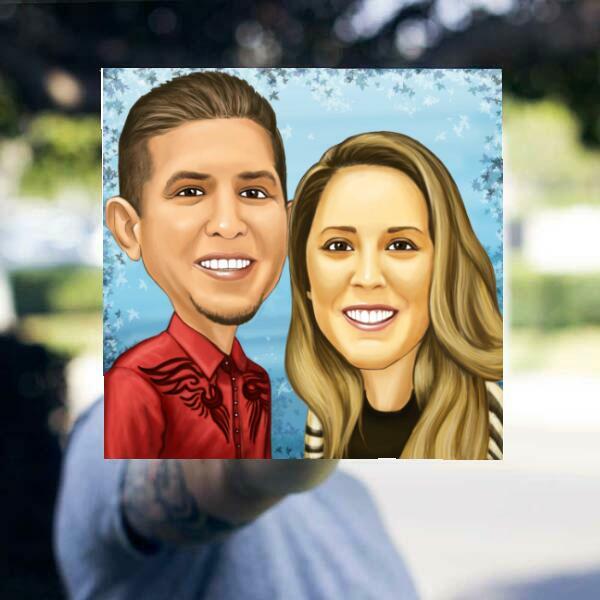 Get a personalized caricature drawing, which will be hand-drawn from regular photos and designed featuring a custom background of your choice. 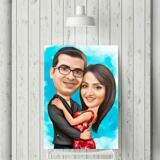 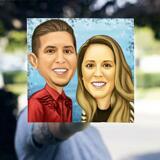 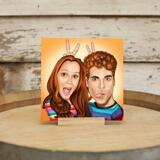 Photolamus will draw a funny and original caricature featuring your couple with any color of background of your choice. 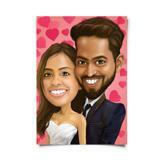 Couple can be also drawn as dressed in any specific costume like uniform, hobby, sportswear etc. We are ready to create such a unique caricature drawing which will be cherished forever. 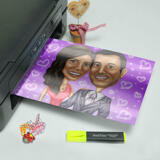 Ready-made and approved drawing will be delivered within 20 days by post. You can place an order online and get a ready-made printed caricature on a Fujifilm Archive Paper right at home. 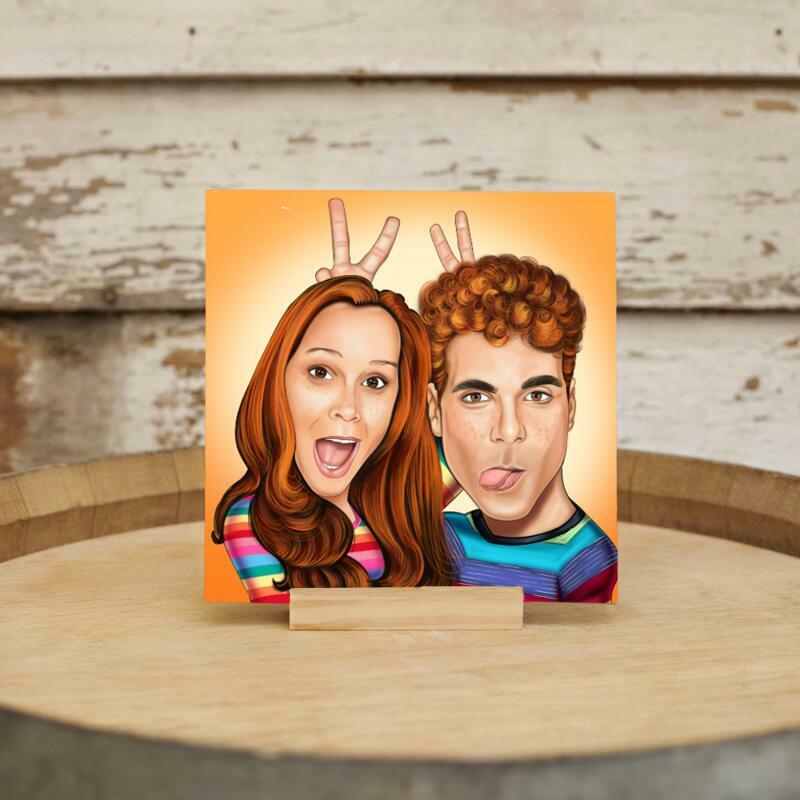 Your drawing will be looking brilliantly as mounted into frame staying on the table or hung on the wall.